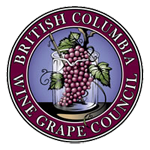 The purpose of the BC Wine Grape Council is to coordinate and facilitate research on viticulture and enology to broadly benefit the BC wine grape industry and to represent growers on a variety of agriculture related issues. Research priorities are reviewed and determined on an annual basis by the R&D Committee. New, short-term (1-2 year), projects are reviewed each November by the R&D Project Review Committe, a sub-set of the R&D Committee comprised exculsively of Industry Members. Funding comes available for these projects in April. Projects may or may not leverage additional funding through organizations such as NSERC, MITACS, and the Investment Agriculture Foundation. Multi-year projects faciliated under CAP or similar programs are typically reviewed every 5 years and are coordinated through research institutions including the University of British Columbia and Summerland Research & Development Centre. The current CAP program extends from 2018 - 2022. The BC Wine Grape Council Research & Development Project Review Committee, comprised of a broad spectrum of industry members, has decided that it will not be opening a call for annual projects in 2019. Research priorities were reviewed and updated in 2018 and are included in the attachments below. Please feel free to contact us if you would like more information on this decision.